Fall is FINALLY starting to rear its head in the hot South...in other words, it has hit 70 degrees! Hallelujah! To celebrate relief from the summer heat, I decided to add a little fall to my decor. Here is how I made a cute, completely upcycled paper mache pumpkin container vase and you can too! 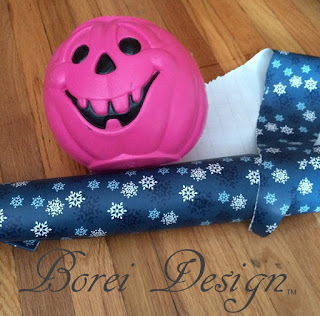 I got started by pulling out leftover wrapping paper from last Christmas and an old plastic pumpkin bucket from a Halloween passed that was sitting around in the garage. 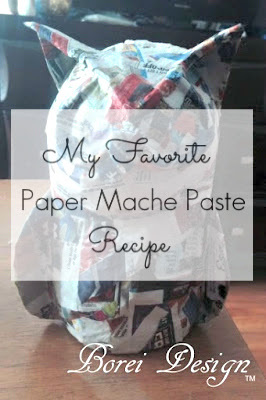 I ripped the paper into several strips, cut the pumpkin in half to use as a mold and whipped up a batch of papier-mâché (paper mache) paste using my favorite recipe. I have found it to be better than the simple flour & water, no cook kind. Put 4 parts water into a pot on the stove and bring it to a boil. While you are waiting for it to boil, mix 1 part flour to 1 part warm water. Beat this mixture briskly to remove lumps. Once your pot of water is boiling, slowly stir in salt (helps to combat mold & mildew) along with water and flour mixture. Mix well and let it boil for 2 - 3 minutes. The consistency should be thick and gooey. Add more flour and/or water as needed to achieve desired consistency. If you make more than you will use in one day, be sure to store excess in the fridge overnight. 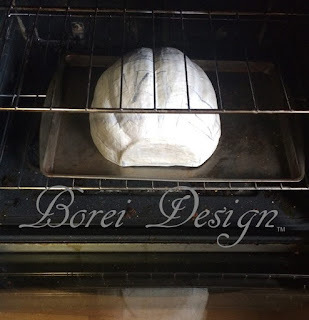 When ready for reuse, heat and add additional water to thin and smooth if necessary. I cut the pumpkin in half to use the faceless side as a mold. 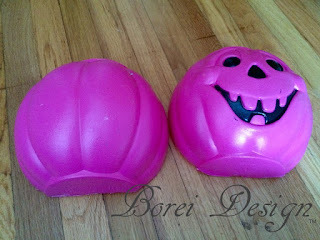 You will need to make two (identical & separate) pieces to create the body of the pumpkin. 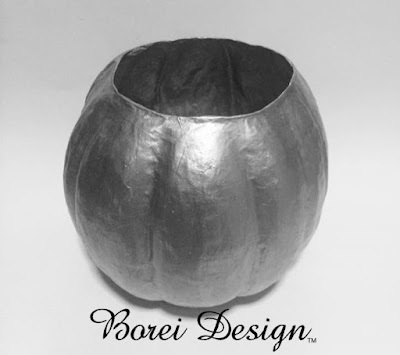 If your pumpkin bucket does not have a face with indentations or if you wish to include the face, you can use both sides of one bucket as a mold and make both pieces of your pumpkin at the same time. 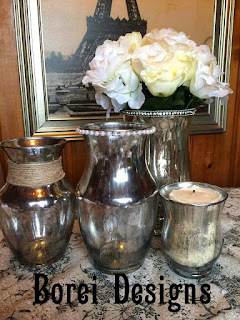 You could also use two smooth sides from two separate buckets that are the exact same size. 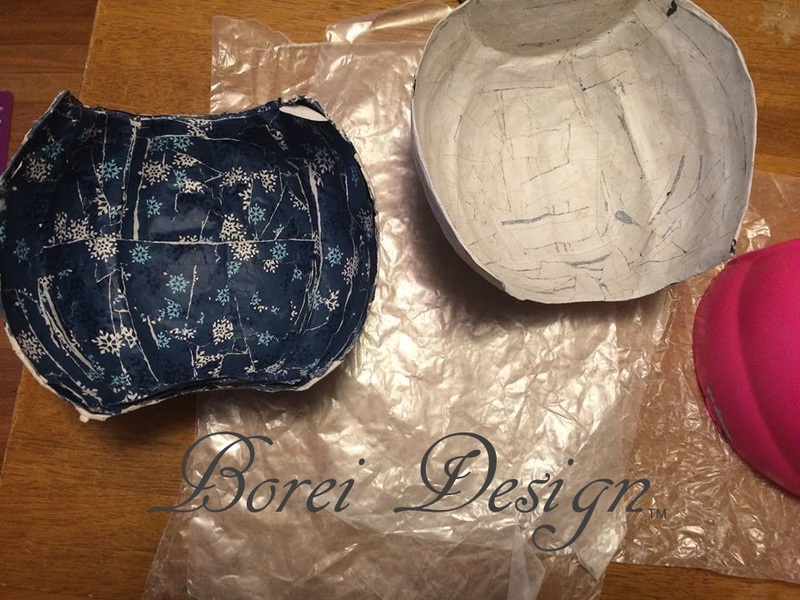 I only had one bucket and did not want to include the face, so I just used one side of the bucket as a mold and repeated the process to make the two pieces. I started by forming water wet strips of paper (no paste) onto the mold. I then added a couple of layers of paper strips dipped in paste to the mold and allowed it to dry overnight. Starting out with with strips dipped in water only prevents the project from sticking to the mold. Once the water wet layer dries, the project will slip easily from the mold. After removing the individual pumpkin sides from the mold I added a couple of layers of paste dipped strips to the inside to secure the loose (previously water wet) layer. In the pic above you can see how the inside strips look coming off the mold and after they were secured and dried. To dry them, I preheated my oven 200 degrees Fahrenheit, placed it on a cookie sheet and baked it for 30 minutes. When drying in the oven, be sure to check on it every 15 minutes to prevent it from burning. NOTE: Do NOT put the plastic pumpkin mold/piece in the oven. It will melt! After removing it from the oven allowing to cool, I added several more layers of paper strips dipped in the paste. For one layer, I substituted the paper for strips of thin polyester/cotton fabric dipped in paste for extra durability. I dried it for 15-30 minutes in the oven at 200 degrees F between each layer. Once I was happy with the thickness of each side, I started putting it together. I started by joining and reinforcing the bottom of the two pieces together. 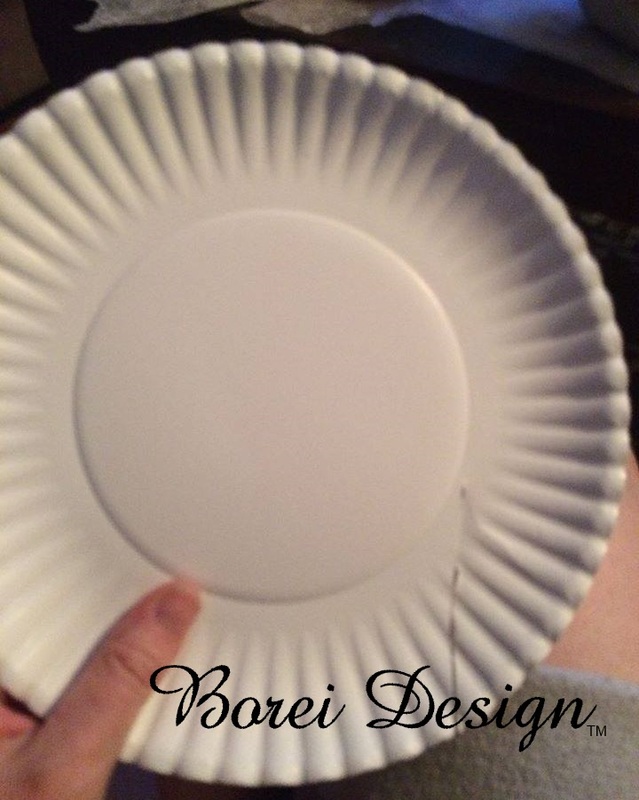 The center part of this paper plate was the perfect size and shape for the bottom of my pumpkin. However you can use poster board as well cut whatever side you need. I cut out the center circle of the plate and dipped it into the paste. 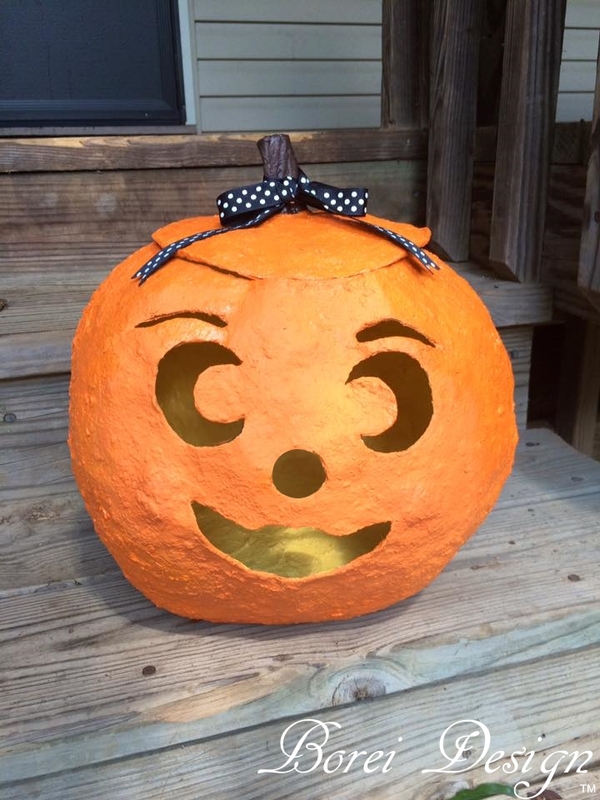 Holding the two sides of the pumpkin together, I stuck it to the bottom of the pumpkin, to secure the bottom of the entire pumpkin. I also added more strips of paste dipped paper around the top and sides of the paper circle to help it be more secure and become more of a cohesive part of the pumpkin. In the pic above, you can see where I have added the strips along the bottom left side. On the bottom right side you can see where I have not yet added them. 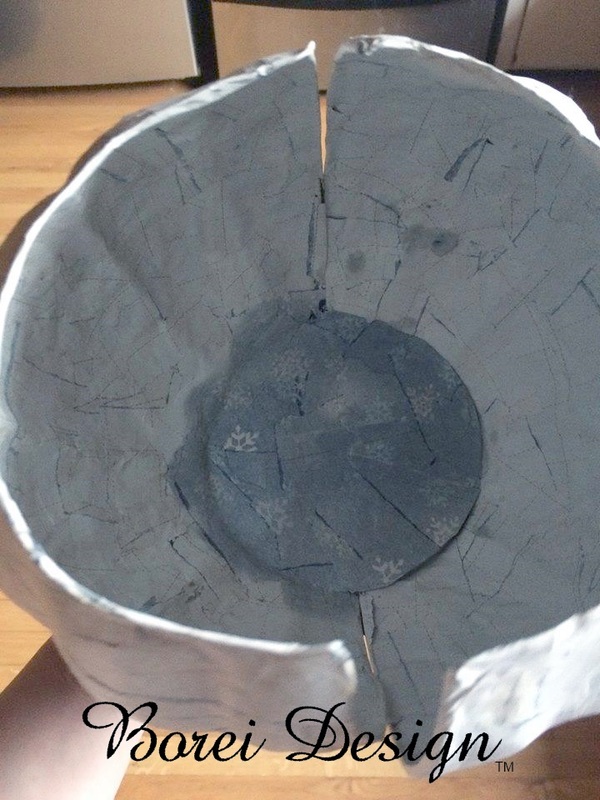 I then added paste dipped paper strips along the side and bottom seams to close them. I then put the whole pumpkin in the oven to dry once again. 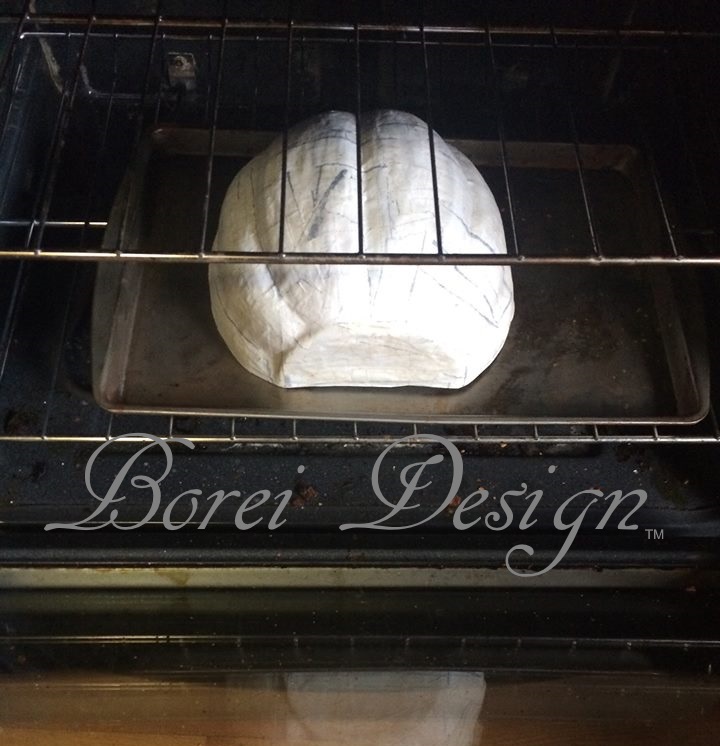 After about 30 minutes at 200 degrees F, I removed it from the oven and allowed it to dry overnight. Why was I so adamant about drying? It is VERY important to make sure your project is completely dry (throughout all layers) before painting. If the project does not dry completely prior to painting, you run the risk of it rotting from the inside and eventually the entire structure breaking down. 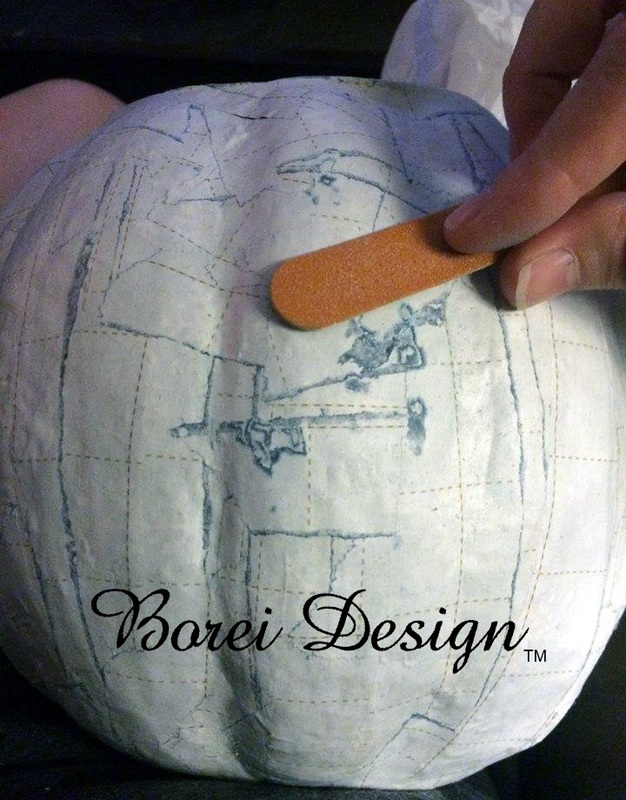 The next day I used an emery board to lightly smooth away any rough patches on the pumpkin. You can also use fine grit sandpaper. I could not find any at the moment and an emery board worked just fine. Once it was smooth, I wiped off any remaining dust with a dry cloth and painted the entire pumpkin in acrylic metallic silver craft paint. I allowed the paint to dry and it was done. 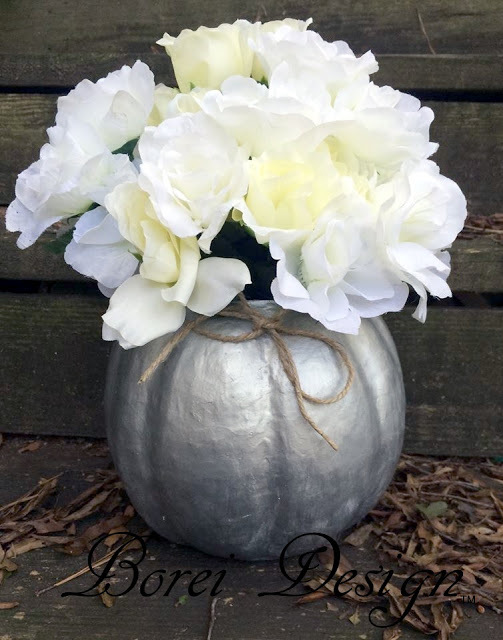 I chose paint silver to coordinate the pumpkin with some other pieces I made for a table center piece. Thank you for dropping by and hope you enjoyed this tutorial. If you have any questions or comments regarding this project tutorial, please feel free to leave the information in the comments section of this post. As always, Happy Crafting, my friends! Update: This project was featured on Hometalk and Huffington Post Home. I love it thank-you so much for doing this . There are so many things I can do now . 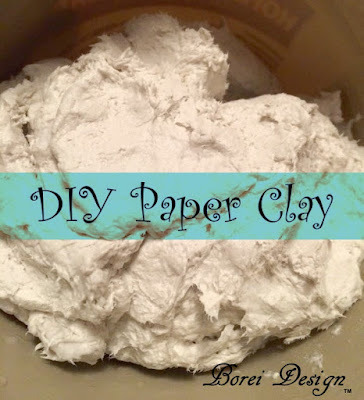 Do you have to worry about mold using either this recipe or the paper mache one? ooops!! sorry...I reread the instructions and see the part about combating mold.